Our warmest best wishes for a happy new year! This is also exam makeup day for those who missed an exam the prior week. Do you know anyone interested in enrolling in Beacon/Founders? Recruitment time is upon us! 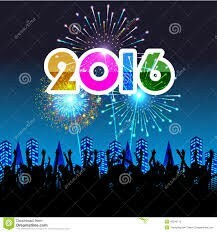 Now that this school year, 2015-2016, is well on it's way, it's time to look forward. We are taking applications for the coming year. 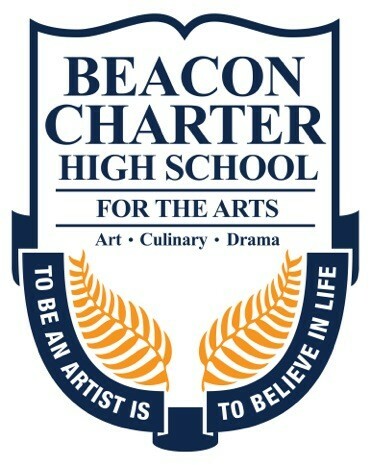 Students who live anywhere in Rhode island, and have completed the academic requirements from their previous year, qualify to attend Beacon. 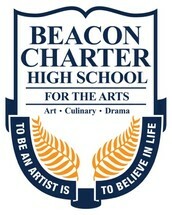 Students may apply on our website, www.beaconart.org, or may request an application from our main office. Open houses are planned for January 7 or February 9 for applicants applying for grades 9 through 12 at Beacon Charter High School. Students interested in attending Founders Academy, grades 6 or 7, can come to open house on January 12 or February 3 at Founders Academy. If you know any students who might be interested in attending Beacon or Founders, please invite them to come to open house. "Deb Leamy has honed a love of teaching this amazing art form to students of all ages from the smallest dance studios to renowned Performing Arts institutions. After a long run as an original cast member of the Tony Award winning musical Fosse she had the unique pleasure of sharing this signature style of choreography with students across the nation as she led numerous, popular Fosse Workshops and Master Classes. Deb, a native of Providence, RI, has performed on Broadway in Never Gonna Dance (Margaret), Sweet Smell of Success and Fosse. She has done numerous roles in regional theatre and national/international tours such as the Donny Osmond Joseph Tour, Roxie & Mona in Chicago, Rosie in Bye, Bye Birdie, Lois in Kiss Me Kate, Maggie in A Chorus Line in addition to several commercials and TV appearances." "The classic swashbuckling tale of The Three Musketeers has been reimagined by Tony Award winning writer Ken Ludwig. This retelling of the Alexandre Dumas novel is a fast-paced adventure capturing the excitement of audiences of all ages. Now, the award-winning Troupe 7444 is going to take this tale and bring it to life… twice! We are going to the Rhode Island State Drama Festival with this work on March 11 and 12, 2016. We’d love you to join us a Prout in Wakefield to support the Troupe. More details on the times of our show will be coming soon. The full version of the show will be performed at the Beacon Theatre Workshop on May 5, 6, and 7, 2016. Directed by Jason Robert LeClair, the Troupe is ready and excited to stage this classic tale. All for One, and One for All!"